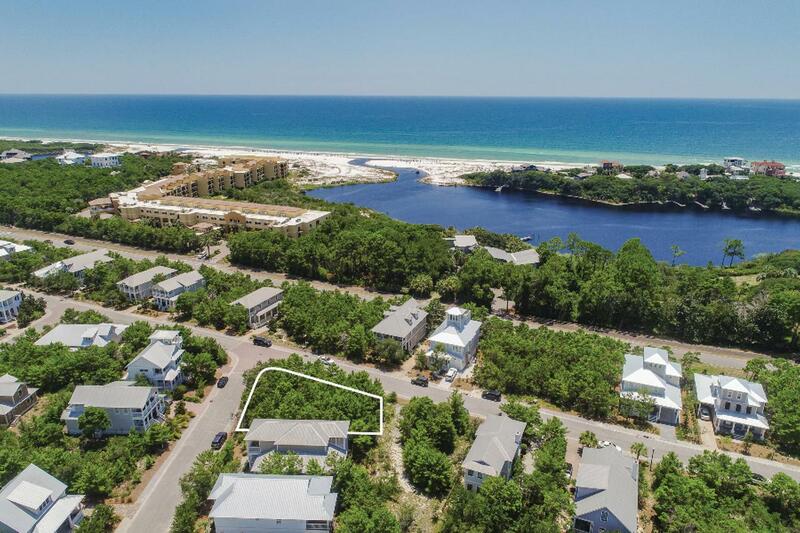 House plans for an elegantly-designed 2-story beach home with a 3rd level viewing veranda with Gulf of Mexico views convey with this large corner lot in The Preserve at Grayton Beach. 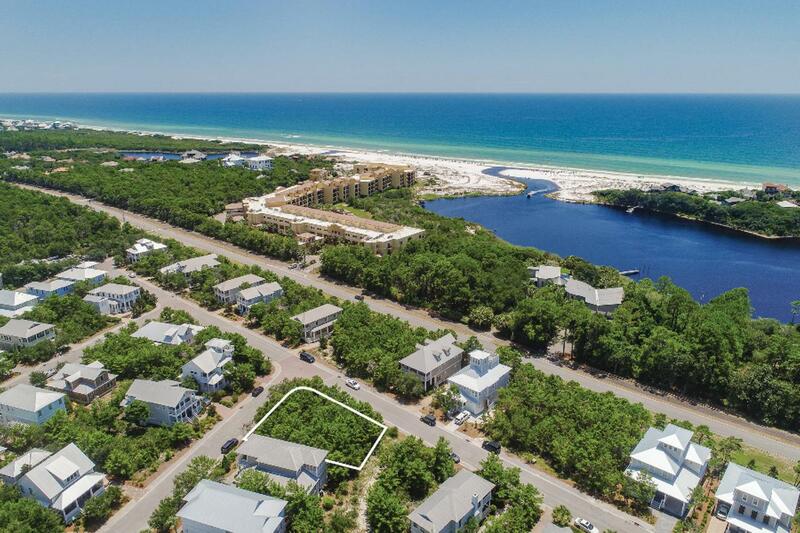 The gated community is an exquisite enclave bordered on two sides by Grayton Beach State Park. 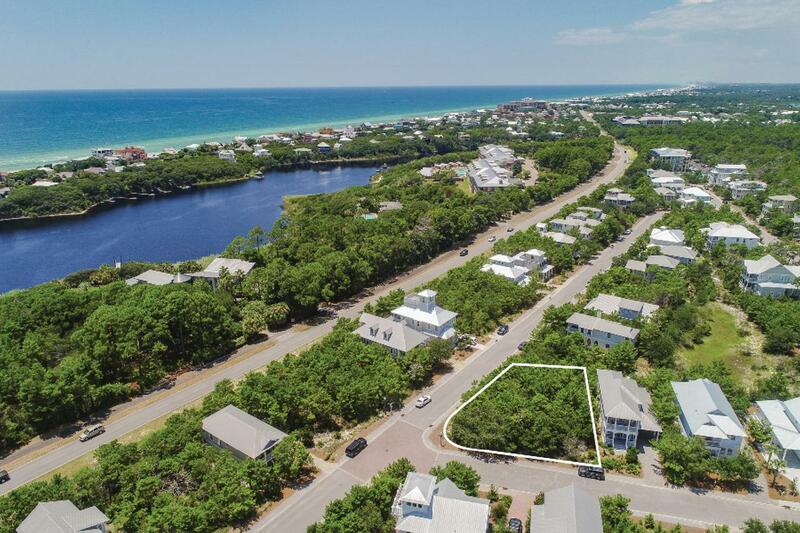 Homeowner amenities include two swimming pools, tennis courts, fitness center and deeded beach access via a private walk-over to the pearl white sand and endless shimmering emerald green waters. The plans for this home include a pool near one end of the expansive wrap-around deck which is level with the first floor for convenient access without any steps. An outdoor kitchen with a fireplace unique fold out doors all along the open concept living spaces add convenience for outdoor entertaining.This home plan features a master suite opening to the poolside deck, and a stunning arc staircase. A sitting room and two guest suites with private baths and porches are on the 2nd level. The third floor is like a fantasy tower with a covered porch. The location is prime. The lot is lovely. The community is amenity rich. And you'll be in on the ground floor buying this extra large corner lot for building the home to fit perfectly into your own Florida lifestyle dream.